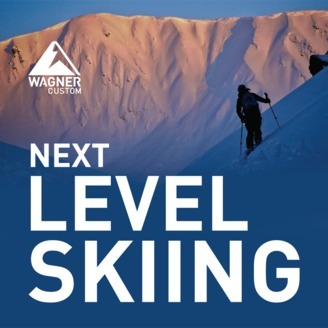 Next Level Skiing is a podcast about skiing. Your skiing. Longtime ski journalist Jason Blevins talks to the sport’s luminaries and behind-the-scenes bosses about strategies and hacks for stepping your skiing up a notch. Sure, the key to getting better at skiing is to go skiing. A lot. If it was only that easy. This podcast will offer some shortcuts to becoming the skier you want to be, without having to quit your job and move to a ski town. 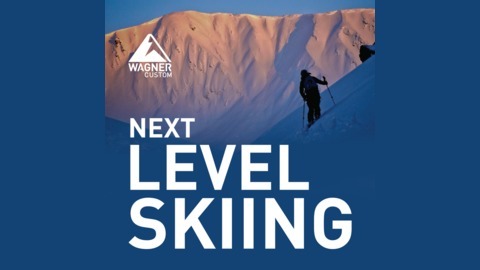 Subscribe where ever you get your podcasts by searching for “Next Level Skiing.” Learn more at wagnerskis.com/nextlevel. On today’s episode, I get the chance to speak with Chris Davenport, one of the world’s most accomplished big mountain skiers. Initially, as the grandchild of a skiing pioneer and child of a ski racer, Chris started out as a racer, himself. Eventually, he transitioned into free skiing and that has since become his passion. During our discussion, we talk about his history with skiing, how Chris is a lifelong student of skiing, and why he thinks all skiers should take up the fight against global warming. Tune in to hear a great conversation with someone who knows the language of the mountains. [02:02] Chris grew up skiing on a small mountain. [02:10] His grandfather was a big skier and was involved in the founding of New Hampshire’s Mount Cranmore. [02:24] HIs father was also a Ski Racer at the University of Denver. [03:26] Chris was a Racer at the University of Colorado. [03:56] Ultimately, he enjoyed free skiing more than racing. [04:50] A certain racing event turned the tide for Chris and he decided he wanted to pursue skiing professionally. [05:20] A friend of his convinced him to compete in the race in Crested Butte. [07:13] That summer, he went to Las Leñas, where he learned a lot from Doug Koontz. [08:33] Chris’ is heading down to Chile to run his eighteenth ski clinic. [10:15] Clinic attendees often have trepidation, because they are working with professional skiers. [10:50] Chris discusses staying open to new experiences and continuing to improve his skills as a skier. [13:10] Each clinic client has their own needs, so the clinic focuses on improving the individual without a set script or schedule. [13:44] One of Chris’ camp attendees went on to win the Freeride World Tour. [15:40] Teaching people to grab the bull by the horns comes with its challenges. [21:17] Factoring in different types of terrain when training people to be better skiers. [23:15] What is means to pay your dues as a skier. [23:30] How to master the “language of the mountains”. [28:32] The importance of combating global warming. [30:40] Chris’ work with Protect our Winters and why it is important for other skiers to get involved. [32:40] What people can do to be more “green”. [34:40] Finding his tribe in Crested Butte at the Extreme Skiing Championships. [35:34] How POW is focused on the upcoming midterm elections. [37:12] He thinks younger people have goals, but don’t have actual plans of action. [38:00] He also likes the term, “knees to skis.” It’s a great reminder about form and keeps him aligned on the mountain.